That’s why on Saturday civic leaders and innovators from nine Knight communities will head to Copenhagen for a working tour on building better, more livable cities. 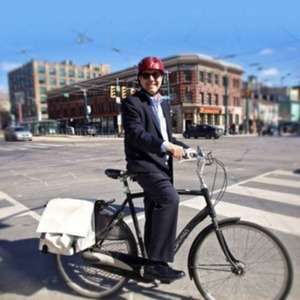 Leading the tour will be Gil Penalosa, executive director of the Canadian nonprofit 8-80 Cities. Gil is the former commissioner of parks, sport and recreation for the city of Bogota, Colombia, and has been an outspoken and persuasive global champion of cities for all — for people ages 8 to 80. Before heading to Copenhagen, Gil talked with us this week on “Knight Cities.” He dismissed much of what cities are doing to increase cycling and walking — maps and stripes on the street for bike lanes — and instead urged quick-start actions that are bold but affordable. And he explained how to win over public officials to the cause. Note: This is episode 2 in the series.